Energy can be saved in a VFD by reducing the losses in the electric motor or by reducing the energy consumption of the variable frequency drive. In addition, the generator energy generated during braking operation can be used instead of converting it to heat, you can estimate the saving rate by this calculator. The operating point of the motor is optimized so that the power consumption is kept to a minimum and energy saving is maximized. The energy saving function is not suitable for operation of a synchronous motor. In the case of the sensorless control of an asynchronous motor according to the V/f characteristic, the optimum operating point of the motor is adjusted in order to keep power consumption to a minimum. In the case of the field oriented control of an asynchronous motor, the optimum operating point of the motor is adjusted in order to keep power consumption to a minimum. For applications where the torque increases quadratically to the speed, e.g. control of a fan, the power consumption can be reduced and energy can be saved. In the low speed range where the full torque is not required, energy is saved. The quadratic characteristic follows the function: |U| ~ f2. Standby reduces the power consumption of the variable frequency drive. The consumption is reduced and energy is saved. The display of the operator panel is switched off if no button is pressed within the time set in parameter Time until Keypad Standby. VFD standby mode of the operator panel is indicated by a spot lighting up on the operator panel. Standby mode is cancelled automatically is a warning or an error is signaled. VFD standby mode of the operator panel is switched off if Time until Keypad Standby is set to zero. In this case, the display is switched on permanently. 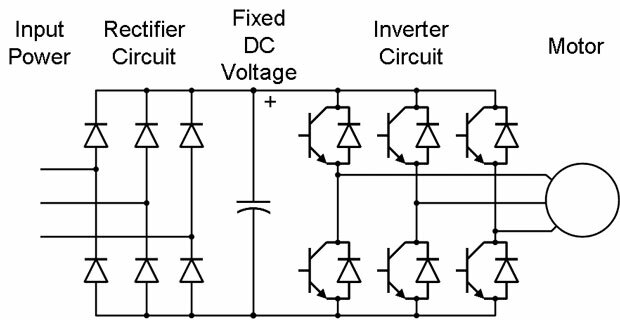 By DC-link connection of several variable frequency drives, energy can be saved, as the energy recovered when one motor is decelerated can be used for accelerating the other VFD. In this case, the acceleration energy does not have to be taken from mains supply. 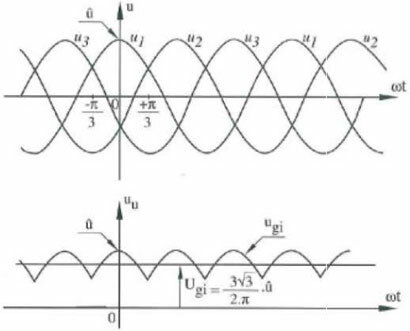 If the deceleration energy from a motor is not used for accelerating the other motor it will be used for covering the consumption of the coupled variable frequency drives. 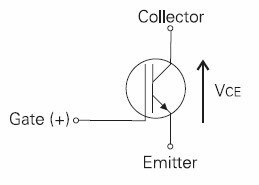 The voltage controller can be set up such that the kinetic energy recovered during deceleration operations is not converted to heat in a brake resistor. The brake ramp will be adjusted automatically such that the DC-link voltage does not exceed a certain value. The motor is decelerated in an energy saving way. The consumption of the variable frequency drive is covered by the deceleration energy of the VFD, so that no energy is taken from mains supply. The PID controller (technology controller) can switch off the motor when the reference value (PID desired set value) is reached. Saving energy is possible particularly in the case of asynchronous motors, as these motors consume the magnetizing current even when they are at a standstill. The function can be used for filling level controls, for example. Via an external 24V power supply, the control component of the variable frequency drive can be powered independent of mains supply. The variable frequency drive can be disconnected from mains supply via contactor, for example. 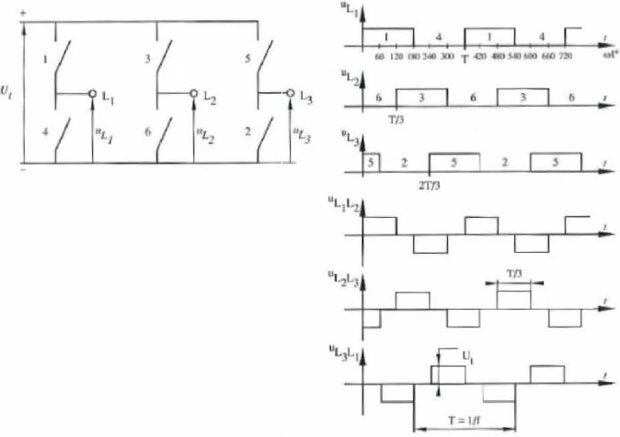 Even with mains supply switched off, parameterization is still possible, the function of inputs and outputs and the communication are maintained. The power consumption of the variable frequency drive during extended interruptions of operation can almost be reduced to zero. The VFD fans are controlled in two stages. This is done for the inside fan and the heat sink fan together. If the inside, capacitor or heat sink temperature set via Switch-On Temperature is exceeded, the heat sink fan and the inside fan are switched on at half power. The VFD fans will be switched off again as soon as the temperatures have dropped below the Switch-On Temperature 39 by 5 °C again. If the internally defined maximum inside, DC-link capacitor or heat sink temperature thresholds are reached (5 °C below maximum temperature), the VFD fans are switched to full power. If the temperature drops to 5 °C below the switch-on threshold again, the fans return to the half-power stage. 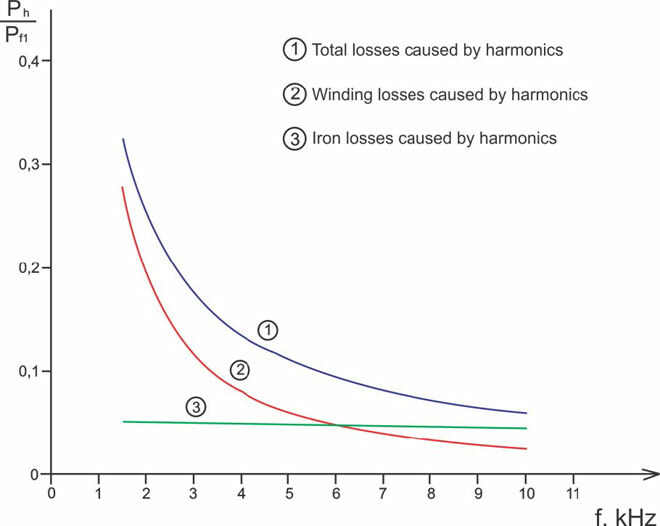 The power losses of semiconductor components depend on the switching frequency and the level of the switched current. In the case of a high current load, e.g. 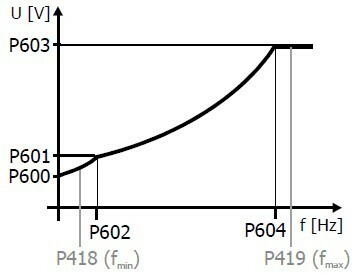 during VFD acceleration of high loads, the switching frequency of the pulse width modulation may be reduced temporarily in order to reduce the losses of the variable frequency drive. If the current drops again after the acceleration phase, a higher switching frequency will be set automatically. The following energy saving measures were integrated in the variable frequency drive and do not require any setup. The integrated power supply units supplying the internal assembles are optimized to ensure minimum power losses. Low-loss current measurement: The own consumption of the measuring system is optimized to ensure minimum power losses. Supply of optional communication modules: If no communication module is connected, energy supply to the module slot is switched off.